The word team is greatly overused and misused. Truth is, few groups of people are actually teams. Most working groups reflexively call themselves teams because we use the word to describe people who are affiliated in what they do. A true team, on the other hand, works together simultaneously, is interactive, is mutually dependent, and often has interchangeable positions. Let me illustrate. While I love golf, to me a golf team is really a group that calls itself a team. The players are affiliated in what they do, golf, but they play their rounds individually, add up their scores at the end, and come up with a team score. In the corporate world this would be like individual stovepipes or silos working their lanes without interaction and mutual support, then adding up their revenues and profits at the end of the day. Teamwork is a choice…and a strategic one. It’s about leaders and group members choosing to operate as a real team, willingly accepting the work and sacrifices that are necessary to reap the benefits of true teamwork. A team feels collectively responsible for outcomes of the whole. Objectives for the team are mostly collective so all feel responsible. Awards are largely team awards. Team members are willing to sacrifice for the greater good—marketing might make sacrifices to enhance sales, operations might make sacrifices for construction to grow, consultants are willing to work in other sectors if that’s what it takes. As Chief of the U.S. Army Corps of Engineers, I have witnessed incredible teamwork between first responders (Homeland Security, FEMA, the Corps, the National Guard and others) during hurricanes and other national disasters. We practiced as a team and worked as a team, all feeling responsible for the success of the response. We were willing to sacrifice for the greater good and no one was a wallflower when it came to suggesting good ideas. It didn’t matter if it was your area of expertise or not, everyone contributed disciplined thought. We were all in it for each other, we listened to others’ ideas and we all pitched in on the execution. At the end of the day, we celebrated our collective success. 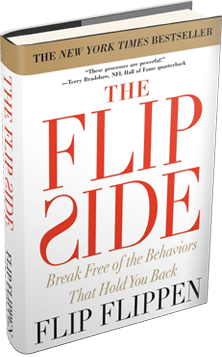 That’s one thing I love about my position at The Flippen Group—I get to use systemic tools and processes to help facilitate groups becoming teams. A talented player may almost single-handedly win a game but teams win championships!